Why Bother to Refinish Your Hardwood Floors in Time for the Holidays? Unbelievably, “that time of year” approaches again. It’s holiday season, and your relatives, friends, new additions, and possibly some surprise guests will, very soon, be heading your way for a yummy home cooked meal, companionship, and gift giving. In the hustle and bustle to “get everything ready” for Thanksgiving and the December holidays, you need to prioritize. Your time is limited, as are your financial resources and your ability to focus. Why on earth, then, would you bother spending the time, energy, and money to refinish your floors before the celebrations begin? There are many good reasons. Not every homeowner or condo owner should spend the time/resources. But you might be surprised at the psychic space, comfort and coziness, and satisfaction that finishing this job will give you. 1. A neat home is a welcoming home. Isn’t this the one time of the year where you can really “get all the family together”? Don’t you want to make the experience comforting and welcoming for everyone? Think of all the time and energy you put into preparing meals and beautifying your home – getting holiday decorations, putting up lights, and what have you. Imagine if you go through all that work, yet the aesthetic of your home is ruined because the floors look drabby, scarred, gummed up with gunk, etc. 2. Getting this nagging task done will free up your psychic resources. There is a reason why you’re reading this article: deep down, you know that you need to get your floors refinished. So why keep putting off the task? If it just sits there on your to-do list…all the way into 2012… imagine how much psychic energy and drag that will have on your general productivity and happiness. Just “pull off the band-aid” and get it done already! 3. Getting your floors refinished will cost you less, take less time and energy, and lead to more satisfaction than you may realize. Scientists are only beginning to understand the dynamic and sophisticated ways in which our environments impact our happiness, satisfaction, and focus. A few small changes (provided that they are the right changes) can make all the difference. 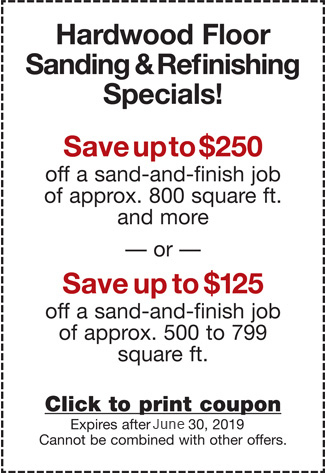 Carpet Cleaning and Floors Coupon. Take advantage of our Holiday Special and get your home clean in time for the New Year. Connect with the professionals at Elegant Floors at www.elegant-floors.com for efficient, cost-effective solutions now.